What's the Buzz in the Trade Press? What’s the Buzz in the Trade Press? This newsletter recently broke the 2,000-reader mark (at 2,076, to be precise). But that is still just scratching the surface. 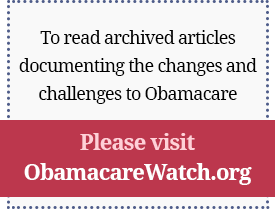 If you like what we’re doing here, please encourage your friends and colleagues to subscribe. Also, feel free to forward this issue to your own distribution lists. Subscribing is easy. Just go to http://www.galen.org/newsletters.asp. “Business Insurance” has run a steady stream of articles, mostly positive. The February 16 issue includes an article by Joanne Wojcik that compares the roll out of consumer directed health with that of managed care in the 1970s. She says CD has been slower, but the comparison is a bit strained since HMOs had a long-standing presence in the market long before the 1973 federal HMO Act, and she dates the beginning of CD health to the launch of Definity in 2000. Also, the advantages given to HMOs included federal seed money and a dual-choice mandate on employers — advantages consumer driven health neither wants nor needs. The article says HMO enrollment climbed from 3 million in 1971 to 10 million by 1980. If we start the clock ticking with the clear guidance from the IRS in June, 2002, I don’t think there is much doubt that consumer driven health care enrollment will far exceed HMO enrollment of 10 million nine years later. The same edition of “Business Insurance” included an article by Roberto Ceniceros touting Aetna’s experience with its HealthFund program. Aetna kept track of 14,000 enrollees from 19 different companies after nine months of participation in the HealthFund and compared this with their experience in the nine-month period a year earlier in traditional plans. Aetna found medical costs increased by only 1.5% for people enrolled in HealthFund, compared to double-digit increases for similar populations in other plans. Pharmacy costs dropped 6.5%, while the use of preventive services rose sharply. This is what decision-makers are reading. The positive evidence is mounting and is overwhelming. This is the kind of buzz that moves an idea out of the pioneering stage and well into the mainstream. Previous Article: What’s the Buzz in the Trade Press? Next Article: What's the Buzz in the Trade Press?